A little while back NASA "confirmed" a revolutionary space engine design known as the EmDrive. It was the sort of thing that some people call a "quantum propeller" and I like to call a "vacuum propeller", and it's a pretty obvious engineering question once you've learned of the concept of "virtual particles". It's where the mind immediately goes when you ask yourself the question "how can I make this work for me?" The thing is that even if real, this is such a fleeting and small phenomenon that it's not the sort of thing you're likely to leverage with a glorified boat screw or a pair of oars. It's so close to a violation of the accepted laws of physics that extraordinary evidence is required. While I'd LOVE to say that I posted a wonderful take-down of this subject, I did not. Ethan Siegel at Medium.com did, in a cogent and well-authored piece that you should definitely read. Yes. Sometimes even NASA does bad science. 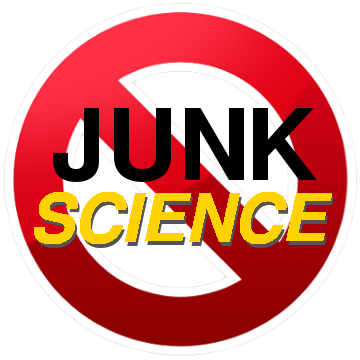 Addendum: So you noticed that there's a big difference in length and tone between this "Junk Science" post and some others that I've done? Good... now know why... it's because this is how science works. When people make mistakes, other people point them out. Then the ones who make the mistake blush a little, but then say "my bad" and move on. They don't defend the mistake and attack the people who pointed it out. That's behavior reserved for pseudo-science. Real science is self-correcting, and real scientists know and accept that. Hamas is responsible for their own war crimes.